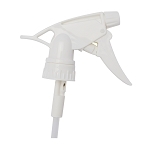 Our Flip Top Spout polytop dispensing closures fit perfectly on our plastic quart spray bottles. Use these spout lids to dispense thicker soaps and cleaners like our Black Cherry Car Wash Soap or our Carpet and Upholstery Shampoo. 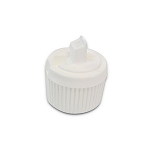 You can also use these lids to dispense our polishes and waxes. This 5 Gallon Bucket Pump Dispenser is designed to fit 5, 15, 30 & 55 gallon drums and drums with 3/4" and 2" thread openings. 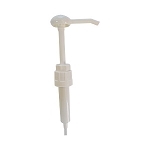 It is also designed to fit 2-5/8" flexspout openings (5 gallon pail openings). The extension tubes included can reach the bottom of 55 gallon drums. This 55 Gallon Drum Pump allows for quick and easy emptying of 15, 30, and 55 gallon drums. 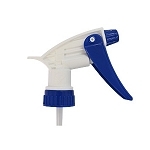 Can be used for water-based fluids, mild corrosives, detergents, waxes, soaps, anti-freeze, etc. This drum pump will pump out 5 gallon per minute. This pump comes standard with a 2 in. IPS bung adapter. This Upside Down Sprayer for car detailing has a patented design, and allows you to use the sprayer in any direction, even completely upside down! Unlike other competing brands, this spray will not leak and withstand chemical usage. This Chemical Resistant Sprayer for auto detailing is excellent for harsh cleaning chemicals, due to it's nozzle o-ring and piston cup being made from chemical resistant Viton. 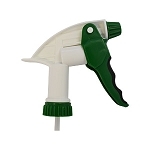 This chemical resistant sprayer has a 1.3 ml per stroke, which is 30% - 40% greater than standard trigger sprayers. Our Gallon Bottle Dispensing Pump transfers liquids quickly and easily from gallon containers into our small polish and spray bottles. They dispense 1 oz. with every pump. Thick polishes or cream waxes can be dispensed too. Purchase a pump for each of your products, and the time saved will be worth the cost. When looking for the best auto detailing supplies, it is critical to remember that some of the most important items you will need to buy are often the most forgotten. 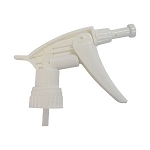 Most auto detailing supply web sites and detail supply stores have a limited collection of auto detailing plastic bottle sprayers and plastic dispensing pumps. 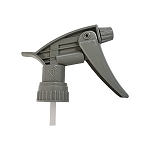 Applying car wash soaps, degreasers, wheel acids, shampoos and dressings can be easy and efficient with the right bottle sprayer or spout lid. 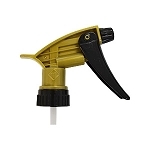 Detail King only stocks the very best heavy duty plastic bottle sprayers, chemical resistant sprayers, high output sprayers and acid resistant sprayers on the market!